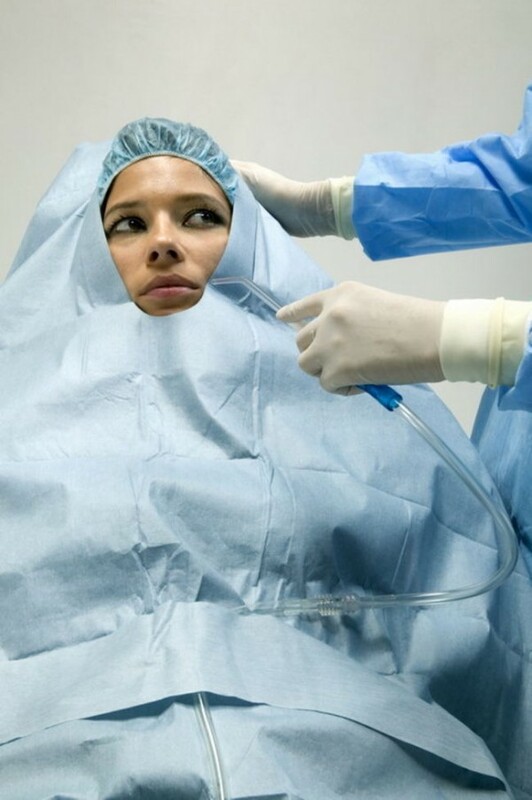 Patient drapes, with adhesive U-shaped split, are made of various fabrics in several sizes in order to meet the many requirements of the medical staff using them. The range includes bi-laminate NWF and Softesse® drapes. These drapes are made with 2 layers, which makes their surface 100% impermeable to liquids and micro-organisms. The particular U-shaped cut on the short side of the drape makes it easy to position the drape near the lower lip or the neck to create an effective sterile barrier. Ease of use and rapid draping help to prevent the risk of contamination and to avoid wasting time. The protective film of the adhesive strip has pre-cut areas to make it easier to apply.